Angel signs are the signals, clues and omens that signify the presence of angels in your life. Angels are very real, but they are spiritual beings with a much different frequency compared to humans. Increasing your present moment awareness of the angels is one of the best ways to start noticing their guidance, especially when you know some of the common signs to look for. Here is a quick look at some common signs from the angels. 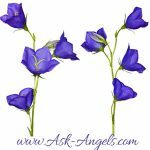 These angel signs can come as a validation or answer to a question you may have asked, or they may serve to simply remind you your angels are with you, and that they're ready and willing to help. Finding feathers on your path is one of the more commonly known signs of the angels. Feathers of any color are a beautiful reminder that your angels are near, loving and supporting you from behind the scenes. When you find feathers in a place which is somewhat abnormal is an especially powerful angelic sign. When you find white feathers they're almost always a sign from your angel… Even when you're in a place where white birds are present. Babies and animals have not yet taken on many of the filters which can block people's ability to clearly see the angels. Have you ever noticed a baby looking up smiling at the ceiling, or excitedly gazing into the air, or at a blank spot on the wall? Or perhaps your pets' focus is entirely captured by something you seem unable to see… Chances are they're looking right at an angel! In the presence of angels babies, small children, and animals will be at ease, comforted… and excited. Finding coins, or currency in general, is a common sign of guidance and support from the realms of spirit. If you find a coin on your path, or perhaps someone gives you a coin, pay attention! Does the date on the coin hold any meaning for you? Have you asked for financial help from your angels? What were you thinking about right before you noticed the coin? This very well may be a sign from your angels, or from a loved one… When you find a coin know that it was deliberately placed on your path, and is a symbol illustrating you're loved, supported and guided. Angels are beings of love and light. Seeing orbs, unexplained shimmers of light, or flashes of color, are all common ways of experiencing your angels. A bright star which catches your attention, shafts of light streaming down from above, a flash of light appearing without an actual light source, light shimmering off an object in an unusual way, or an orb of light hovering near, are all signs of angels. Try closing your eyes, and if you still see the light, it's very likely an angel with you. Breathe, relax, and if you're ready your angel may expand the light before you, or envelop you within the angelic glow to bring you healing, upliftment, and rejuvination. Rainbows are a common symbol of Divine love. When you ask for angelic assistance and shortly after see a rainbow, know your prayers have been heard and are being answered. If you've been thinking about your angels, or asked for a sign, and you notice a rainbow, it's likely your angels confirming they are with you. A rainbow orb around the moon, a double rainbow, or a rainbow appearing when it hasn't even been raining, are extra spectacular signs from your angels bringing encouragement, and validation from the heavens. When you're in the presence of angels, you may experience a change in temperature, which can be a wonderful validation that your angels are with you. You may suddenly feel a warm glowing light around you. Or you may get the chills, and feel cold, with a tingling or pressure in your head or on the back of your neck. This shouldn't be uncomfortable… For me it is an exciting physical manifestation from these angelic spiritual beings. If you feel like you are in the presence of an angel… You probably are! You may feel like someone just walked past you, when no one is there, or you may get the impression someone is present in a room with you when it is empty. Your angels may reach out to you, very subtly and wrap you in their wings of love, brush your arm or neck, or gently place their hand on your back or shoulder. Sometimes angels will make their presence very obvious giving you an overwhelming sense of unconditional love. Or when you're in a book store, you get the chills, and then a book suddenly jumps off the shelf. Pay attention, your angel is with you! Angel signs will often come in the form of noticing a message on a physical sign or billboard. When you ask for guidance from your angels stay open and alert, and you may start noticing a certain word or phrase on a number of billboards, street names, or shop signs. Recently I was in New Mexico and planning to take a trip to either Sedona AZ, or Southern New Mexico… I wasn't sure which option to choose, and so I asked for help from my angels in making the decision (while riding as a passenger in a car). Almost immediately after asking, a huge sign for “Sedona Health and Nutrition” appeared on the street right before me. This was an advertisement for a local business… But I took the hint and ended up having an incredibly magical, and rewarding trip to Sedona AZ. When you receive a message in your mind, or you a whispered voice which seems to appear out of thin air, you may be experiencing the guidance of your angels. Don't assume you're making it up! If you can't really hear what is being said, ask your angel to speak a bit louder so you can understand. Hearing the guidance of your angels is a beautiful sign of their presence, and is common when you are in need of comfort, reassurance, or angelic guidance. Indeed one of the most common ways angels will attempt to capture your attention and guide you is through Angel Numbers. Whether you are sitting in traffic behind a car with 333 on the license plate, or you seem to look over at the clock every day at 11:11 exactly. These numbers have specific meanings for you. Because angel numbers are such a common sign from your angels, I have created a complete guide to angel numbers you can read by clicking here. The key is to be present, and aware, and to look for the signs from the angels. Angels have a way of making their presence known, and so you may experience them in a way that's not listed… With presence and awareness, you can tune into, experience, and act upon the signs you receive from your angels. 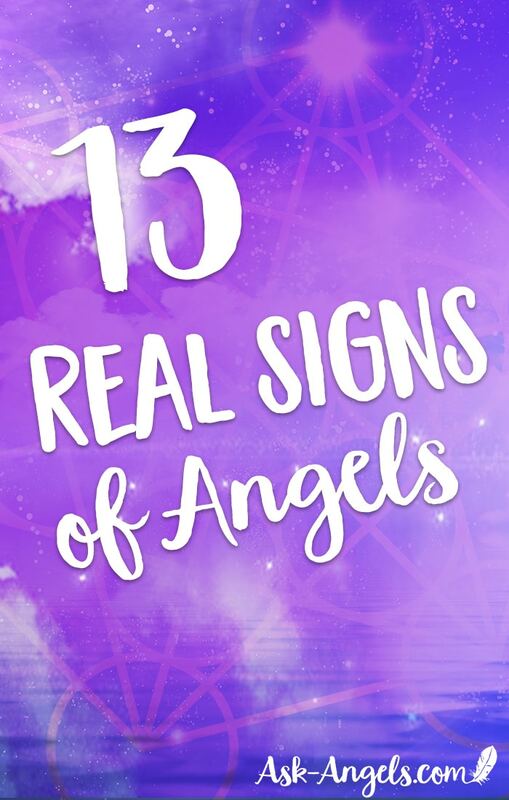 Signs Your Angels Are With You – Infographic! If you're on a phone/ tablet, or you would simply like to view a bigger version of this image… Click Here or Click the Image Below! Simply copy and paste the code below and be sure to include the link to Ask-Angels.com! 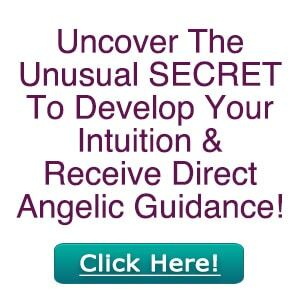 Now that you know the signs your angels are with you, learn how you can start feeling, hearing, and seeing your angels with our Experience Angels Course here! Your sightings are true and don’t let anyone tell you other wise angels saints are the real deal i know because i have one looking over me everyday and has changed me for the better. So don’t let anyone call you crazy just relax breath free your mind and let be they will do the rest. I have a long experience of paranormal activity. and I do not believe in any point of these 13 sign except the 12 (The voice). Sometimes and rarely I hear someone speak (spoke) to me from outside my body and this realized (happened). Sometimes I hear voices inside my brain and it was not my thinking because it is totally different context of what I am thinking about or what I am doing. and Sometimes I hear voice from my head but is depend, sometimes is clear and I wonder from where this idea come, sometimes is weak sign it pass as any idea. it is sure that lot of time the internal voice come from my brain thinking (it is me). Also many vision happen, when I awake or relax, I saw a vision about something happened elsewhere or will be happen in the future. Sometimes I see a vision with voice for 2 or 3 seconds and it is very clear and I wonder from where it come (maybe my brain and maybe outside). Also I have experience from other world (I don’t know what it is) by touch me or he change the magnetic field around me when I can see in 360 degree (slightly like a sphere except the ground level directly below me) I feel any unusual movement of someone seems like aura (I can see aura in some degree)… also I have, many experiences proof of other world but they are not our subject here. An idea when I am sleeping, my brain awake suddenly to high level and let me feel that the alarm of my desk watch will ring, and really this happened after 2 or 3 second. Today is Tuesday, august 28th & it is now 10:37 p.m. I was on You Tube, watching one of my favorite Christian shows, which I never get to see anymore. In the episode that I was watching tonight, titled: “The Commercial”, which was about a female actress being called for a television commercial regarding pop / soft drinks; & she decided not to do the commercial because of a skimpy outfit she was being told to wear. Well, after the half-hour show, I looked away from the computer screen to see what my cats were up to. When I looked back towards the screen, something caught my eye, which was by my computer-mouse? I saw a small light-brown feather! It was not there before; so that told me an Angel was nearby & watching the show with me!! Thats awesome! What a great necklace and reminder of the angels that will be to wear! I notice white & grey feathers all the time (even some two-tone ones) in my path wherever I go – even inside buildings. Numbers like 111, 222, 333, 444 & 11:11 I notice all the time – 0:00 was the very first number I saw when I was suffering from borderline depression as I could not get much sleep. I have seen angels in cloud formations, latest one was when I was standing next to my kitchen window & I looked up at the sky I saw an angel smiling at me! Babies have started to smile at me when walking past them & dogs just love me – they can feel my angelic presence (I am one – earth angel). One of our next door neighbours cats one day a few weeks back jumped up to my bedroom window looked at me then looked at something else in my room which I could not see what it was looking at (other than one of my wall regulator clocks). Scents, feelings of being loved/hugged (makes me very happy like I am being hugged – same feeling when my parents hugged me when I was a boy), orbs of light, electric lights pulsing/flickering, rainbows in all forms (real & images) even inside our kitchen reflecting from my mothers crystal ornaments, music & songs (a few of them are pre-programmed onto my electric organ keyboard which I have to play regularly) & other signs even an empty money bag which just appeared onto my bed around 15 mins ago! I have 6 parrots, so feathers are not a sign. I am hypothyroid so I am always cold. I do smell things and know it’s one of my supposed 6 angels. I see 1:11, 11:11 all the time. But if angels are supposed to help, mine don’t. In fact, ever since I became aware of them, only had things have happened. This has changed my views on the creator and useless angels. My Guardian angel, Daniel, sends me a lot of messages! When I first asked for his name, the first thing that popped into my head was the name Daniel. Me, being the unsure person I was, just thought my mind was playing tricks on me and asked for a sign that it really was Daniel. After that, I saw the name EVERYWHERE. All over my computer, advertisements, and even in the video games I was playing. So I just knew then, that was the name. We have formed a connection, just learning your angel’s name can speak volumes. So whenever I’m in desperate need of help, I ask him to help me, and I start seeing the name Daniel popping up, so then I’m confirmed he’s helping me. Try to learn your guardian angel’s name, trust me, it will help you be able to connect more with them! An angel that is often with me does something that when I do something not right. The Angel turns it’s back to me and until I make the wrong right…. I just experienced a sign and got scared but after reading it, I have realised that it was an angelic encounter. Yes,I’ve received most of this signs without knowing it was them. I lost my best friend Saturday, Sept 23rd, 2017 just hours before his 49th birthday. He called me his Angel and him mine. He battled lots of medical issues most of his life and just couldn’t fight anymore. We never met in person, just through Facebook, but we had so much in common I know it was not a coincidence. God meant for it to happen and this became more clear as the years went on, almost 7 in all. There were always things happening to us that could only be explained by “heavenly intervention”. I always told him that if something happened to him I wanted him to send me a sign since we both very much believed in things like that. Well, I did not find out he died until Sunday afternoon. I did not sleep well at all that night and finally drifted off at 4:30 am right before my alarm went off. There was an owl outside my window hooting very loudly and for a very long time. He knew how I loved owls and I know it was him telling me he was with me. Later in the day I was at work looking out the window and storm clouds were forming. All of a sudden a noticed a heart, and then another and another. I knew it was him sending them to me and I was shocked at how many there were. A few minutes later I saw an angel cloud, plain as day. It was a side view. I could clearly make out it’s head, wings and it was wearing a long robe or gown. I have never seen an angel cloud before and I have no doubt it was him showing me he got his angel wings. It was very comforting to me. I went into a daze and saw white flakes coming down around my house. Is this Angels message? I was visited by an angel last night in bed. when I looked over my shoulder, there was no one there. I think I was given a sign from an angel. It was near the end of my relationship and this drunk man was behind my boyfriend and I at a football game, and he kept telling my boyfriend how lucky he was to have a good woman and he had to treat me right (which he really had been neglecting our relationship) Coincidence I don’t know but the man left to go to do something and never returned to his seat that evening. I spent two days pondering over the whole incident asked god if I was supposed to be here, and found the strength to walk away. I have always believed in Angels and I believe that angels exist and they are good, loving, kind, and helpful and protected me from any danger! I could use protection now since I am in a crisis! I always believed in Saint Michael the archangel who is a protector and Saint Michael is a very popular saint and when you hear the name Michael from someone calling out their name, the number 111 the color red or blue means protection! Michael is also known as a police officer if you see a police officer in their car or just a police that means your protected by Saint Michael and Michael can come in all shapes and forms! I have a saint Michael statue and I always loved Angels! Michael is my personal favorite angel! Also music angels can communicate through music and I had an experience! I have seen flashes of light or colors and I know it’s Michael protecting me from danger! I have a Saint Michael T shirt and a necklace of angelic script of his name and Michael is also God’s general and he is the one to call upon in a crisis! Today is my son’s birthday he passed away 05/04/2016 my family had a birthday party for him today and my nephews and I released balloons. My niece recorded while we released them and when she watched the cusp video we saw a white dot going back and forth really fast for a couple seconds and then it had angel wings and was gone. I wanna know if that was a sign that my son was with us? Himam…can an angel fall objects….. I was wishing on an important things with the help of the moonlight, on 11:11pm tonight GMT+7 I looked up the night sky, and the moon is surrounding by a rainbow halo with clouds on the side of it. So beautiful, I thank you and believe my wish is heard and already been given. Then I search this ask-angels page, found and read that it is the sign that heavens give validation with the help of the angels. I even more grateful. I was feeling down there other day, whenI was driving into the Walgreens parking lot and as I was opening my car down.Right near my feet on their ground was angel heart medal with an heart on ! Ive often felt a loved one from beyond was sending me different signals and signs. The most profound one was after I met a couple on Google+ and they were married and the wife was posting pictures of her wedding ring resized. Somehow I lost my wedding rings before my husband died and I was a little emotional for a few days and I found a 24 karat gold ring in the middle of my floor right into my television 11 man-made diamonds in it. I took it to the Jewelers and there was no or else it could have come from. I met a guy shortly afterwards and we went to the beach and I lost the ring in the ocean on the same day he officially asked me to be his girlfriend. Nina Sky went back and forth for 2 years he somehow destructively traumatized my life in some way every time we broke up. Last night I was walking and in front of the Mexican restaurant I looked down and there was a shiny quarter I almost didn’t pick it up but it was so shiny that I have to ! I was so excited that I told my daughter it’s from arch angel Uriel i’ve be praying to the Angels so I picked it up and put it in my pocket I was so happy I knew they were there with me ! Hi I find the feather in my room but not white color . When I wake up morning time. I saw close to my bed my feet side . Any suggestions please? Good or bad ? Nope, totally not with me. So what do bad smells mean? I always have felt that foul odors that aren’t something witnessed with the naked eye are bad spirits. That’s my opinion. Nothing heavenly should stink. ? Angels have been presenting themselves as lights to me in different colors and configurations for over 2 years, but I had no Idea what it was until Father’s Day this year, 6/19. Now I know, I was guided to take a class which main focus was meditation, but turned out to be a class full of “psychics,” with a variety of gifts. From that day, the door was opened and I have been communicating with angels throughout the day, but the most profound communications are after my family has gone to sleep. Amazing? I have experienced number 7 several times. I know there are Spirits, Angels, or something around when something catches your attention and it leaves this amazing feeling inside. I allways smell roses and carnations before someone in my family dies,Sometimes the smell is almost sickening,It is just like you walked in to a funeral home.when my sister was in the hospital ,i was setting with her and about 5.30 am i started hearing bugels playing the song NO TEARS IN HEAVEN at 3.25 that afternoon she passed away,i was telling the chaplin about it and he told me that when i heard the bugel that was when my sister was passing over to the other side.I felt ease. I,d like to connect with my angels. And learn to meditate myself. I have this happening to me lately. I asked my angel in the shower if this guy is right for me and ask her to only let me see/hear his name only if he is. I got out the shower and opened my gratitude journal and the first thing I saw was his name (I rarely wrote his name in there because I tried to move on.) but I thought it was a coincidence, so I ask again. This time I wrote it down and said it out loud. After that I went on Instagram and the first post I saw had his name written in it for FOUR times. I was like WOAH But that guy and I don’t talk anymore, so sometimes it was hard for me to believe that. So today I asked again “Okay, this is the last time. I know you love it when I’m trying to connect with you. Please let me hear/see the word Yes through out today to confirm that he really is the right guy for me.” After that I felt like my angel was smiling and feeling so excited to show me a sign this time. And BE HOLD not even a minute after that I randomly clicked on a blog and the first word I saw was YES I almost cried with happiness when I saw that. A lot of time I will mentally hear she say, “have faith and be patient.” Hopefully this is really a message she meant to send to me. I’m trying to keep my faith as high as I can. I had an unusually scary dream last night, and I’m an adult who isn’t usually easy to scare. It was honestly really getting to me so I prayed and asked why and what it could mean. I pulled the angel card “you are safe”, and then suddenly I smelled chocolate milk…strongly. I’m the only one awake at the moment and no one even drinks chocolate milk or eats much chocolate here. It smelled good! So I remembered reading something years ago about angel signs being smells. I looked it up, and the First example here was chocolate! Also I remember finding a coin on the floor when I woke up and actually took notice of it as if it were aignificant for some reason. Amazing. It was the full moon solstice last night. Maybe that’s why I dreamed fears, so I could let go. Mesayon, I had experiences Just like that in 2013 about a man I loved. We got together later that year and we are still happily engaged. Like, we are Very happy:-). Have faith. I was just reading through the page as I cried my eyes out. I felt so alone, like there was no one there for me- I was desperate to be reminded of what true love felt like, and no one could make up for the love my Dad gave me before he passed away when I was 9. Without fear, I just dropped down onto the bed and stared into space. I couldn’t move, I knew I couldn’t even if I tried. I felt something wrap around me, almost like the Angel’s wing as described, only I knew it wasn’t an angel, it was my Dad. Never have I felt so much love hit me. I felt free. I felt uncontrollable and for what seemed like forever I gradually came back. I still froze because my mind was blown. All my tears rolled down my eyes uncontrollably until I had none left ad here I am now… I’ve never felt so good! THANK YOU Melanie,most of the time i hear a voice especially when im worried about something and i will get an instant answer. i remember one day in the evening i felt a bit of a slumber and i slept, within a short time i saw in a dream a woman pouring a powder in my mouth,and i heard a voice saying her name and i woked up. i went to ask my parents if they know that person after describing her looks and they said yes. they were very shocked because that woman stays far from where we stay and is not our relative. so i believe my angel was communicating with me. I received a message from my angel (or spirit guides), that came to me, Loud and Clear. The message was that my Ex-Husband was going to pass away. At the time, he was hospitalized in the Cancer ward at a Hospital in Scottsdale, AZ. He was having severe pain in his neck and arm, that related to his cancer moving from both lungs (and, abdomen), to become a large (oblong) tumor in his neck. That tumor received radiation for 5 days, straight, and was completely obliterated. Unfortunately, the pain worsened and he steadily declined. The message (from spirit), was a voice telling me that Ed was going to die. I could not tell you “if” that voice was male, or female, but it was extremely clear. I (almost), dropped to my knees, right there, in the parking lot after I heard that “Ed is going to die”. It hit me like a ton of bricks. I sat in my truck, for a bit, cried, then thanked whomever sent that message. At that point (of his hospitalization), we did not know “if” Ed was going to make it, or not. A week later, he was sent to Hospice and passed after 7 days. I can recognize when my “spirits” are visiting, in the form of animals, scents, feelings, messages or just “knowing something”. I’m truly gifted to have that powerful insight. Y this moth that I actually heard of my Angels for the first time. It was 7 In the evening and I was talking to my boss about spirituality. While there are a lot of distractiom s I heard clearly the sound of tiny and huge bells, chimes, in the air. it was up in the air and passed before us. I feel the joy in my heart. I asked my boss if he has heard that but he did not. I hear alot of voices though. Deep male voice, cry of a baby, inaudible whispers, bell ringing, etc. At first I was bit overwhelmed about all this but eventually I was able to find light with the help of the Divine and my one True God the Father. What if you don’t want it anymore? My angels come to me in dreams a lot. Lately, I am able to feel their presence while awake. While having a particularly stressful and sad conversation with my husband, I saw a flash of gold and white light in the corner of my left eye and then felt pressure on my hand, which was resting palm-side up on the floor beside me. After reading this, I am certain it was one of my angels helping through that terrible night. I found a beautiful feather when i was walking home and have no doubt that it was from my grandma mercie. I miss you and love you. calm, embrace them? The world would evolve and nourish every life form. Our souls would be freed. I have had so many signs that angels have been guiding me and still today everyday I’m receiving signs. I need some real guidance about Gods kingdom and how the archangels and angels interact with us. I have a belief that we were all angels before we came here and I think I’ve fallen in love with one of God’s archangels. Pleases help know how to proceed with this. the angle are the best i no we got angle all around us. I would like to know if Angels come in form of white birds, cause since my mom pass away a month ago I’ve seen white birds next to my house. I think is my mom! I’ve personally been trained and taught by angels and many of their kind! They planned my whole life, I have also seen the Holy Spirit! Thank you very much for your messages.Indeed it is very fantastic to read your articles on ‘ANGELS’.I don’t know how to thank you.Please send me your full and exact residential address so that I can send you a gift.I live very far away from you.Do you know about MAURITIUS.It is a very beautiful island in the indian ocean. i feel uncomfotable and sometimes creeped out when i feel like there is a spirit near. i feel as if i cant move. How about in a dream? I saw it in my dream it was so clear that it was a feather that feel from the sky and it was quite bigger than normal and it’s color blue. Then I realized that when I looked up, my Angel was right there and was already a mist disappearing. And I realized that it was my angel who sent the blue feather to me. Is that also counted as being in the presence of an angel? Thank you. I would like to read more of your articles,bless you. I strongly believe in angels and archangels unfortunately I have not yet mastered the way to get in touch with them.may be I try too hard…. Because I need strongly to takeadecision and I ask for help but I have not been able to tune in to receive an answer. Words are not enough to say thank you to Melanie for all the messages may Godbless you and your team. Lovely article mahalo for sharing your knowledge. What could it mean when I get GooseBumps and get Chills running down my Back and Arms, Could this a Sign that Angels are With Me? I believe in Angels. Last week I asked for some good luck, not a lottery win but just a little to help us out and later that day I won at Bingo. Earlier this week I asked if anyone was there as I was feeling low. The next day, I was listening to the juke box at work & in the middle of the random dance music it was playing, on came ‘arms of an Angel’ from my favourite film ‘city of angels’. The jukebox then went back to playing random dance music. I’ve found four 20p pieces on the floor at work in the last two weeks. My Nan used to collect these when she was alive. I find these things comforting and uplifting. I had an experience today where I felt like there were several… beings around me. The whole hallway and all the rooms were filled with almost a light fog. I have also been looking up a lot today. I am confused as to what this is. They did not scare me, but the fact I experienced that is making me wonder why. Does this sound like angels or something else? Thank You, dear Melanie! Lots of Love and Blessings to You! I have many angel stories to tell you. I will tell you my favourate one. My son Nico works for a cash in transit company ever since he was 18. He is now 29. When he started there I was so worried so I told him that if he saw a feather he should pick it up and keep it, because that is the angels I prayed for to keep him save losing there feathers and a sign that they are realy around. I never thougt in my wildest dreams how many he picked up in the past 11years and how he took whar I said to heart! And to think that he was a non belever. He sticks them in the van when they transit cash. If the guys ask him about the feathers he tells them that it is the feathers of him angels and that they are protected. He is a belever now and even prays for them bevore they leave there base. Haleluja! Prace our grasious Lord! When I’m really ‘in tune’ – before going out on stage – I tell my angels/guides that we’re going to do this one together and I let them sing through me. What do angels want me to know? 2 days ago there were signs of Spider – 3times, I know that they were not just spiders, but signs. At that nigh I dreamed that in my house there were new house pets – seagull and crow. Seagull looked at me, screamed and flew out from house. Crow screamed too, then bit me in the left arm and flew out through the hole in the wall. Next moring I saw a crow next to my window – it was hanging upside down and nibbling something. I have never saw something like that before. It didn’t rised up – I watched it for some 5 min. Today I woke up with song in my head – not whole song, just one line – repeating and repeating – black dove cry… I googled it and found out that it is song “Why doves cry” (song I know, but don’t listen), but in my head it sounded as black dove cry. How do you think? Is it some kind of sign from Angels? And what it means? I see little sparkles of light out of the corner of my left eye….hoping not a retina detaching? Plus I get white feathers that I have been saving…is that ok? At my mother and sisters grave on day when I was there it was very cold and cloudy.I sat on the ground and I was wrapped in a warmth.the wind was blowing but it didn’t touch me.The headstone was cold but it was like I had a circle of warm air around me.I visit there often. I Believe in God’s and Spiritual’s Angels in my life,i do believe they are exist around us,because only a few people who can feel and see the presence of the guardian angel is,something magical and amazing things have been happening to me, seems not only we humans who live in this world,I can not imagine what I’d been through, this situation really makes me feel puzzled and confused ..Previously I was a bad person and has done many things wrong, and do sin, but I am grateful and remember to Almighty God for giving me the opportunity to still conscious and aware of the mistakes that I have done in the past, .. ..thanks and praise to the Almighty God …. Is it bad to ask your Angel to leave your side and help another in guidance to watch over? Ask them to watch out for another… But know they can be in two places at once so you do not need to ask them to leave your side. I sense there is an angel watching over me each and everyday ! I just wonder who it is but I know they’re there ! My sister sent me this article today. I told her my dogs have been fixated on something I couldn’t see for the last few days. Always when I’m home alone with the dogs. No barking or excitement. Just looking intensely and following movement around the room. How awesome is that! recently I found two large coins (English Penny) with the years being 1916 and 1928. The inscription on the back is “One Penny” and what looks like a centurion and a shield. On the face side is what appears to be King George the V in Latin. I found these two near the recycle bin. A day or two later I found a toonie and a few loonies in the parkade. Could this be a sign that I am finding or about to find a tremendous wealth in places no one looks at? I ask angel sorry I try to listen you try to tell me something special message. I am going to have a cochlear implants I hope this year . I have sit down talk with a doctor to get a Referral letter to Mater hospital to see ENT Doctor. when I get cochlear implants on my ear and I will ask angel for repeat what was you try to talk whisper to my ear. Amen. I BELIEVE AN ANGELS ARE MY VERY SPECIAL. ASK, BELIEVE, GIVING AND RECIEVING. Hello all. I found myself in need of help recently in a house I used to live. It was very haunted and one character was becoming very invasive and was really getting a hold on me. I needed help and I prayed and asked for help from the Ark Angel Michael. I got what I needed and I do remember there being lots of white feathers on my carpet in the morning. I didn’t have feathers in any of my bedding. I’ve only recently found out that these are commonly sited as angels’ calling cards. Very cool. Recently i reconnected with a person on Facebook, turned out she is now religious (i’m agnostic or let’s say believe more law of attraction or spirituality rather than bible version of the truth – i don’t deny some powerful source must be existing.) … so the point is i argue with her how many errors hte bible has etc… so i keep seeing 666 and 777 and occasional 999 everywhere in Nov/Dec… playing my videogame wich i like… everytime i look my gold status it’s 666… one game person name was 666,next game someone was named 777 .. and third game someone was named Ezekiel(bible character right?) … also when i was out with a friend i saw 777 as car plates in span of 5minutes (one of wich was a Bus transporting christians) … (not to mention ive lately noticing the craziness of satanic worshiping in music/hollywood) makes me wonder, investigating loads about religion etc…. am i going insane? i mean should i go to see a psychiatrict? im very critical thinker and have very high iq… i’m just baffled… any advice? Two weeks ago on Sunday a mysterious man whom had been a customer at the store I work at came up to me among three other associates and I helped him check out at the register. After a minute of greeting him and making sure he had everything he said he sensed something about me, how I was over watched by a female Buddhist and two Angels, one to my left is a female whom has or is protecting me and to the right of me a male who gives me knowledge or something like that. It was a long 15 minute of mind blowning conversation we had and to cut it short, he believes I have a good vibe having the Angels and this female Buddhist overlooking me. Can anyone help me further explain this? He wasn’t a missionary nor trying to change y religious belief(Shamanism) but said it is a good thing he met me and believed it was fate that brought him to me that day. my father recently passed away… my husband and i were the only two in the room other than hospice coming in every hour to give him meds…. the last time they came in his breathing became very soft and slow and i could tell it was getting close, at this same time i noticed the shape of an angel imprinted on his sheet…clearly you could see the cap sleeves from the arms and scalloped flowing gown i could even see a face.. i pointed this to my husband just to make sure i wasn’t going crazy.. he saw it as well and outlined it with his finger… shortly after he passed.. anyone else have similar experience? many times I have seen feathers at home – at the window steps or in my bed – or on the dining table. feel awesome and blessed. I have experienced most of these signs and it is wonderful to know what they mean. I have often wondered why babies look at me and smile and sometimes even reach out as if wanting to touch what they are seeing. I have recently started seeing my birthdate, I will look up at the clock and there it is 1020. I also see my fathers initials on license plates almost every day and see flashes of light when my eyes are closed. I keep hearing london bridge is falling down when I’m walking the dog and during meditation, can anyone shed any light on the meaning of this? I had lost my mother to cancer. She passed away in july 15,2012. She was in the nursing home for a week, our family new she was going home to God very soon,My 2 brother and I where taking turns beinging with her that week, she was getting weaker by the day. I was so tired one evening I decided to go home since my brother where with her Saturday evenig. So my husband and I went home, I got a call about 2:00am and they told me I had better come beck that she was breathing very shallow, and we did. She was cold to the touch and so I said a prayer and asked my Lord God Please give me a sigh when she is really gone, I mean her soul. and then I said the Lords Prayer ” The Our Father”, about Sunday morning around 7:00am I could her, mom passing away, she took her last breath and left. I cried like a baby, weeped so hard that I had the whole family and the nurses crying too. It was so emotional, I just couldn’t stop!!!! Then one of my brother said to me Sarah,Sarah, come here to the window, I told them I couldn’t I just wanted to hold on to mom just a little bit more, but they insisted me, Sarah, Sarah please you have got to see this, Moms bed was next to a window, so I got up and went to the window, what I saw was a “Doe” looking in the window at all of us Kids and grandkids, she stood there just looking for about 2-3 munutes seem so long, she came out of no where. I started thinking I just asked in a prayer to let me now when she was gone and there she stood. I said my Goodby and she turned and walked away from the widow and was gone. My prayer was heard and I thank the good Lord for taking her home safe and sound. A few days later my son inlaw came and show me a song about Deer, ” As The Deer” It was the most beautiful song I had ever heard!! Sometimes when im driving I feel very light mist of water on my face???? This article has come at an interesting time for me as I have just had an experience with lights that have come out of nowhere and immediately after a door handle moved which did scare me as I know their are good and bad angels not sure what to think really what’s the purpose of all this? Why am I getting goosebumps when I am going through your article? I guess, I’ve gone through some of these experiences. God bless all, not just America. My husband just passed away in May. My 4 yr old granddaughter says she sees grandpa on the ceiling when she is lying in her bed. I think its an angel coming to her looking like her Grandpa. I loved your article. My guardian angel guides me daily, helps me to manage the most difficult decisions and always leaves me with a white feather or a sweet scent when I’m feeling down. The older I have become- the more I have come to depend on my ‘spiritual friend’ I always say thank you and will continue to do so, for the guidance of love and light continues to support me. My dog enjoys playing with ‘my guardy’ as well…he plays nearly every night at the same time. When in doubt, I ask my angel for guidance. I receive coins; pennies, nickels and sometimes quarters in my path, several times a week. I’ve also felt a loving hand on my back especially if it has to do with my mom, when will soon be dong things together. I truly feel that is my dad sending me a message, like a pat on the back for a job well done. I feel the pennies come from my son and the nickels from my friend and quarters from my dad since he used to bet me quarters to putt a hole in one when we putted in the living room. I’m learning to see the significance of the coins and the touch. I want to learn more can you email more on angels? Thank you for this beautiful site! The Angelic signs are very real! I experienced a cloud angel..in the shape of a totem pole with two sets of wings..I know it was an angel because there were no other clouds in the sky..the sun was just setting. My whole body got the chills..I ran to get my camera..but it had just started to dissipate…Every time I look at the photo I get chills..Thank you Jesus..thank You God! I would like to receive all the teaching regarding the angels as above at my email address please..
Is it possible to receive info on angels directly to my inbox? Thanks in advance,Brian. I have seen the numbers 0220 like crazy! In and on the weirdest places? This is my birth date! Thank you! I never knew the signs but now I do. I encouner three coins, sweet scent out of nowhere then a wisper. Until in March 2012 I saw an archangel in my bedroom window 4:00am he was handsome this might seem strange it seems he wanted me to see him. I have experienced almost all of the signs from angels. My dear, sweet deceased father always visits and watches over me. The love we share will never, ever die. His visits are so warm and sweet, and he always knows when I need him. He comes to comfort me when I think of him and become sadden and overcome by the grief of losing him. After my dad’s visits, I always feel so comforted and loved; but most of all, I feel that my father has not left me. Have you read this post on how to meet your guardian angel? We all have angels looking after us, we just don’t realize it. Eg. Think of the time when something bad was going to to happen and it didn’t .. Why?? Hey There. I discovered your weblog. That is a very well written article. Thank you for the post. I’ll definitely come back. My 2 brothers and my sister and I started receiving feathers after my beautiful Mama passed.. I’ve never heard of this and it’s so amazing to read about these other signs as well. I know my Mom is in a better place -an afterlife where it’s probably just the beginning. Thanks, Mom. I love and miss you so much. You’ve taught me so, so much and now you’ve taught me that love never dies. I love you. This is happening to me right now. I was guided to this page to understand the signs, coins, flashing lights, white birds…all of it. God is amazing. Sweetest Jesus.